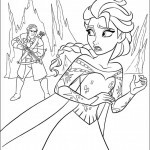 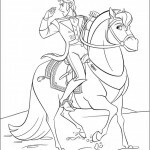 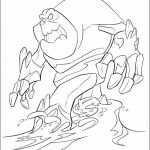 Enjoy our Frozen coloring pages. 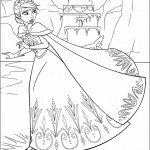 Elsa, princess of Arendelle, possesses the magical ability to create ice and snow. 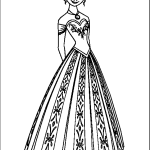 One night while playing, she accidentally injures her younger sister, Anna. 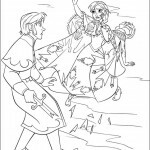 The king and queen seek help from trolls, who heal Anna and remove her memories of Elsa’s magic. 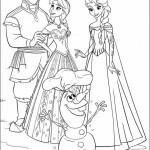 The royal couple isolates the children in their castle until Elsa learns to control her powers. 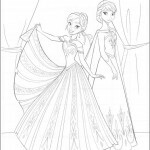 Afraid of hurting Anna again, Elsa spends most of her time alone in her room, causing a rift between the girls as they grow up. 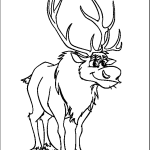 When the girls are teenagers, their parents die at sea during a storm. 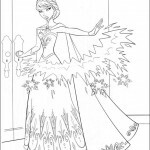 When Elsa comes of age, the kingdom prepares for her coronation. 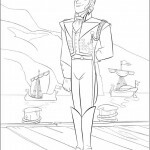 Among the guests is the Duke of Weselton, who seeks to exploit Arendelle for profit. 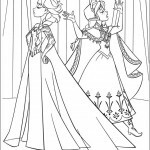 Excited to be allowed out of the castle again, Anna explores the town and meets Prince Hans of the Southern Isles, and the two immediately develop a mutual attraction. 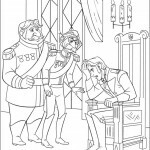 Despite Elsa’s fear, her coronation goes off without incident. 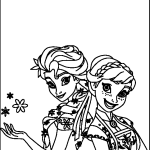 During the reception, Hans proposes and Anna hastily accepts. 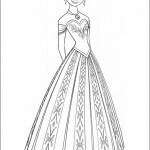 However, Elsa refuses to grant her blessing and forbids their sudden marriage. 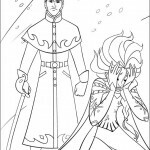 The sisters argue, culminating in the exposure of Elsa’s abilities during an emotional outburst. 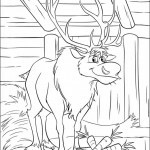 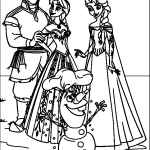 You can also see this on one of our Frozen coloring pages. 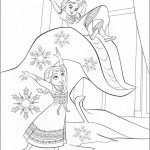 Panicking, Elsa flees the castle, while inadvertently unleashing an eternal winter on the kingdom. 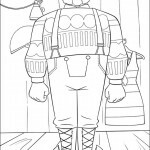 High in the nearby mountains, she casts off restraint, building herself a solitary ice palace, and unknowingly brings to life her and Anna’s childhood snowman, Olaf. 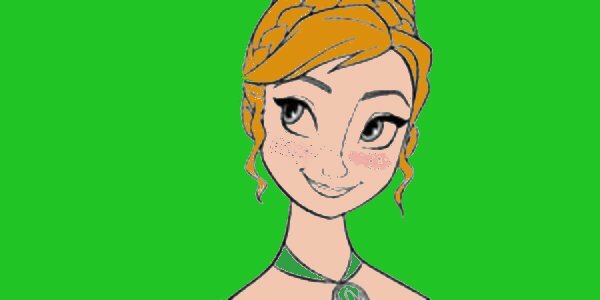 Meanwhile, Anna sets out in search of her sister, determined to return her to Arendelle, end the winter, and mend their relationship. 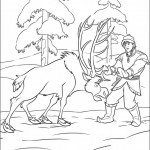 While obtaining supplies, she meets mountain man Kristoff and his reindeer Sven. 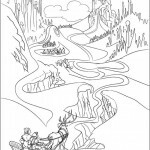 She convinces Kristoff to guide her up the North Mountain. 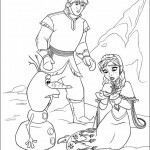 The group then encounters Olaf, who leads them to Elsa’s hideaway. 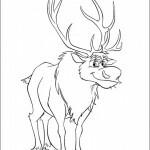 Have you found Olaf on our Frozen coloring pages? 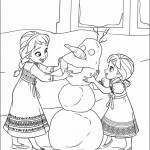 Anna and Elsa reunite, but Elsa still fears hurting her sister. 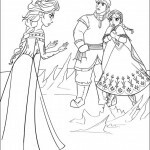 When Anna persists in persuading her sister to return, Elsa becomes agitated and accidentally strikes Anna in the heart with her powers. 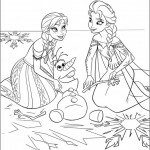 Horrified, Elsa creates a giant snow creature to drive Anna, Kristoff, and Olaf away. 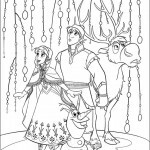 As they flee, Kristoff notices Anna’s hair is turning white, and deduces something is very wrong. 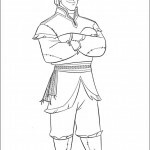 He seeks help from the trolls, his adoptive family, who explain that Anna’s heart has been frozen. 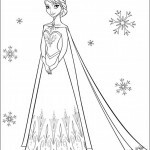 Unless it is thawed by an “act of true love”, she will become frozen solid forever. 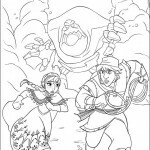 Believing that only Hans can save her, Kristoff races back with her to Arendelle.